With his final term in the White House nearly halfway over, United States President Barack Obama remains far from fulfilling his campaign promise of closing down the Pentagon’s detention facility at Guantanamo Bay, Cuba. The president has made no bones about his intentions to close the infamous military prison since before taking the oath of office in 2009. 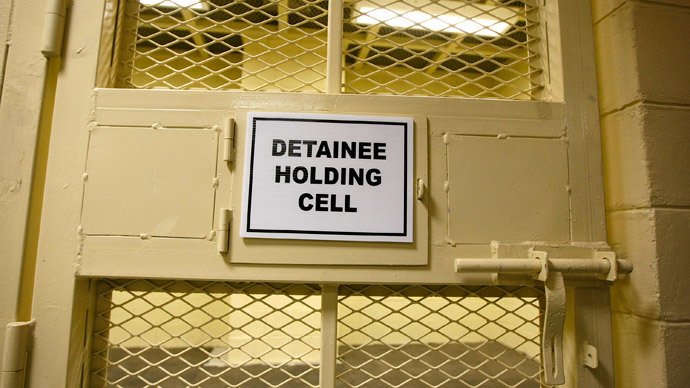 With nearly 150 individuals still detained at the facility, however, a report published by the Associated Press on Tuesday this week raises doubts about whether Obama will actually close the facility before leaving the White House. 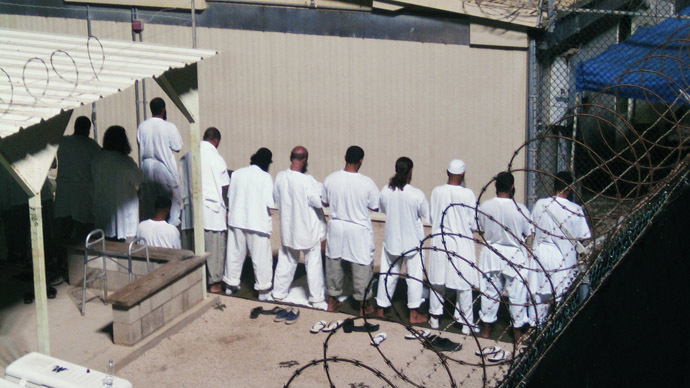 In this week’s AP report, journalist Nedra Pickler writes that the Obama administration’s plans to transfer prisoners out of Gitmo and move them to other facilities the world over “has ground to a halt,” and not because of the president. Instead, she argues, the Pentagon is keeping Obama from further freeing detainees, including those long-cleared for release. Although Pres. Obama said last year that he would work within the US government to move prisoners from Gitmo “to the greatest extent possible,” Pickler writes that the Pentagon’s top officer is largely responsible for holding up the president’s plans. Despite Obama’s plans, Pickler added, Hagel has been adamant about not releasing Gitmo detainees until his office is certain that terror suspects currently in American custody won’t take to a life of extremism after being released. "My name goes on that document, that's a big responsibility," Hagel said earlier this year with regards to releasing detainees. "I'm taking my time. I owe that to the American people, I owe that to the president." Aside from the five suspected Taliban members exchanged by the White House earlier this year for longtime captive US Army Sgt. Bowe Bergdahl, Washington has only released one other Gitmo detainee in 2014 — an Algerian native relocated there in March. Close Guantanamo, a group that aims to hold the president accountable to his campaign promise of pulling the plug on America’s operations there, acknowledged on its own website recently that releases have indeed “almost ground to a halt,” and could be hindered further if politics continue to play a role. 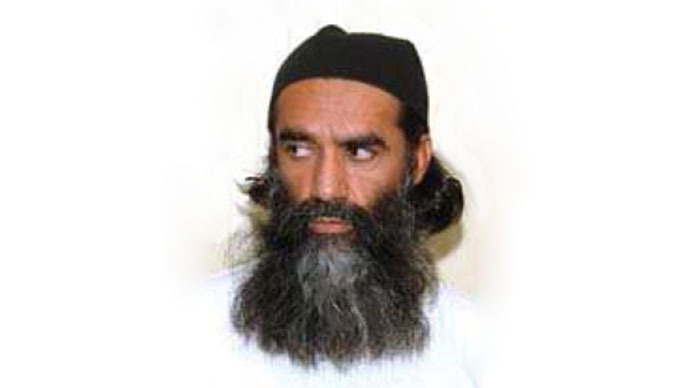 “We worry that, in the mid-term elections, in a little over a month, it will become more difficult to release prisoners if President Obama loses his majority in the Senate, and we believe that, as a result, the president should do all he can to secure the release of as many prisoners as possible in the coming weeks,” the group warned. 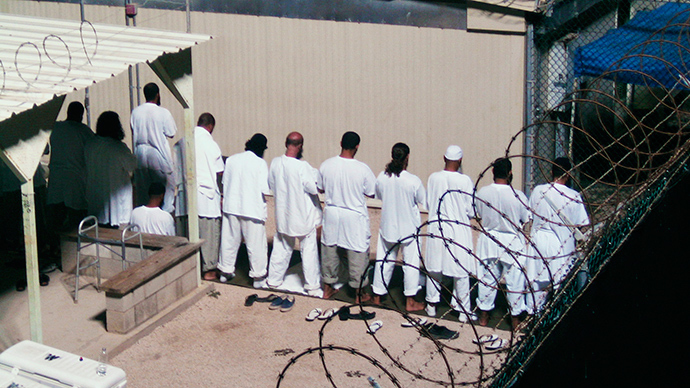 Andy Worthington, an investigative journalist and member of the Close Guantanamo steering committee, added recently that 79 of the 149 individuals still held at the facility have been cleared for release since 2009. Seventeen men have been released under the Obama administration since the president entered the White House in early 2009 and May 2013, Worthington added, but more should be made free. As RT reported earlier this week, however, even the detainees long-cleared for release — like Syrian national Abu Wa’el Dhiab — are subjected to obstacles that are raising even more questions about the terror suspects’ futures. 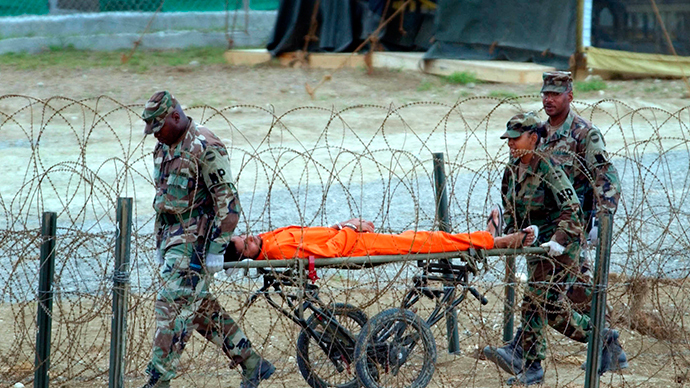 Attorneys for Dhiab are expected to be in a DC courtroom early next month fighting against the force-feeding policies their client has had to endure while detained at Gitmo, but the government is asking that the hearings be mostly closed to the public — a gesture that some critics say is all too expected from an administration that has for years swept prisoner problems under the rug instead of allowing the public to see what is really happening. "There is no reason to close the upcoming hearing, other than the government's intense desire to hide from public scrutiny the evidence we have managed to uncover over the past few months,"co-counsel Jon EIsenberg told POLITICO over the weekend. 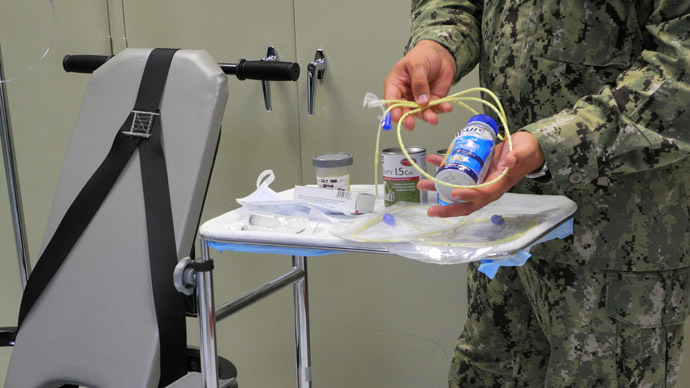 "This evidence, which consists of videotapes of Mr. Dhiab's force feedings, his medical records and some key new admissions by military officials, vividly establishes that the force feeding at Guantanamo Bay is the opposite of humane. Its overarching purpose is to cause the hunger strikers a great deal of pain and suffering, in hopes that they are convinced to give up this peaceful protest of their indefinite detention without trial." Meanwhile, the US is also about to be left scrambling to find a place for an undisclosed number of prisoners currently being held at a secretive facility in Afghanistan but must be moved when the Pentagon officially wraps up its combat operation there later this year. One possibility could be relocating those individuals to Gitmo, Brigadier General Patrick Reinert, the commanding general of the United States Army Reserve Legal Command, told Reuters this week, but a maneuver would be unlikely, he said, since it runs counter to the administration’s stated objection of closing Gitmo — and would rely on a guarantee that those individuals be treated fairly upon being freed from US custody. "The president would absolutely like to see more progress in our efforts to close Guantanamo," Obama counterterrorism adviser Lisa Monaco told the AP for Tuesday’s article. "He wants it closed. He's pushing his own team very hard, raising it weekly with me, with Secretary Hagel, with Secretary (of State John) Kerry. He also wants Congress to act to remove the restrictions in place that are making it even harder to move forward."